The Supreme Court on Friday set aside some observations made by Uttarakhand High Court order that had proposed withdrawal/cancellation of the designation of Avtar Singh Rawat as a Senior Advocate. 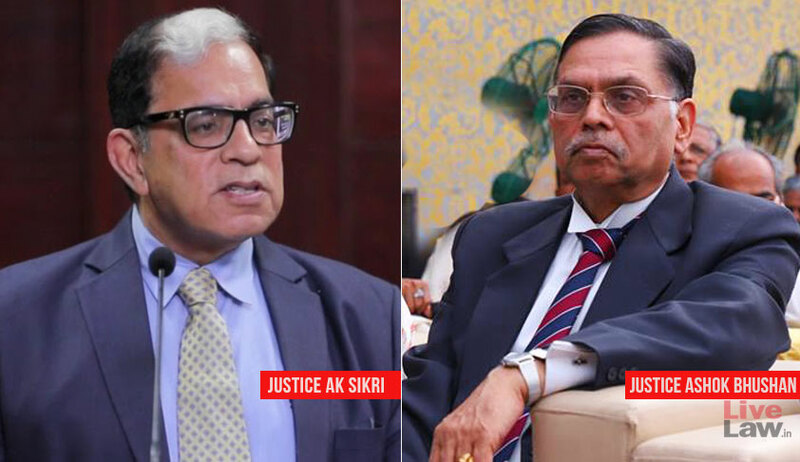 The bench of Justice AK Sikri and Justice Ashok Bhushan opined that no such directions were called for in the matter. “Having gone through the entire matter, we are of the opinion that no such directions were called for in the matter. In the facts and circumstances of the case, the observations which are made in the impugned Judgment against the appellant as well as the directions contained in Paragraphs 45 and 46 of the impugned Judgment are set aside,” the bench said in its short order. Senior Advocate Avtar Singh Rawat had challenged a part of the order of the high court directing the matter to be placed before the Chief Justice of the High Court and, in turn, before the full court for consideration of withdrawal/cancellation of the designation of the appellant as a Senior Advocate. The Uttarakhand High Court, while disposing of an appeal filed by one Gurbachan Singh against Power Grid Corporation of India, considered an application filed by Singh that the senior counsel appearing on behalf of the corporation was engaged by him in an earlier writ petition he had filed against the corporation. He also submitted before the court that the senior counsel had all the knowledge of his case and he has committed professional misconduct and his working is unethical in a way that he is now contesting the case against him. He also produced the vakkalath in the earlier case which shows that Rawat had appeared for him, though he was not designated as senior at that time. Granting liberty to Gurbachan Singh to file a complaint before the Bar Council, Justice Lok Pal Singh took serious note of submission made by the Senior Advocate that being a senior counsel, he can argue the case even against his previous client. The court further observed that Rawat ‘failed to maintain the dignity, moral and high ethics of a Senior Advocate and acted in unethical manner’.